Ironbark’s Stock Management software is designed to streamline and control the stock management process of your business. A comprehensive inventory database is the backbone to any solution involving movement of stock items. Ironbark Stock Management software allows for the set up of sophisticated pricing and discount frameworks with stock items up to 20 alpha numeric characters long. This module enables the set up of multiple buy and sell units against a stock item using conversion factors. 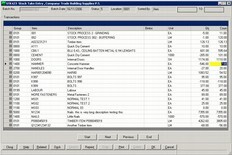 Sizes grades and brands can also be set up against a stock item with the ability to group stock items within departments and groups for reporting and General Ledger purposes. There is flexibility with regards to the set up of disbursements to handle complexities of the General Ledger interface. Enquiries can be made on stock items with full drill down capabilities. 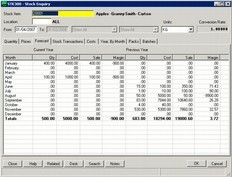 Costings are easily calculated with actual costings against stock items. Users also have the ability to attach pictures and documents to a stock item. Stocktake can be performed by bin, item or stock group with hardware solutions available to make the stocktake process more accurate. This includes a PDA stock program with RF (wireless) scanning of labels to update the stocktake batch. Variance reports of stocktake batches can be reported from the stock module including a complete history of stock transactions. Standard reports such as stock on hand report by item/location/unit/brand/grade or size, stock level listing, stock movement report, salesman stock requirements, available stock report and stock valuation reports are included in this ample module. 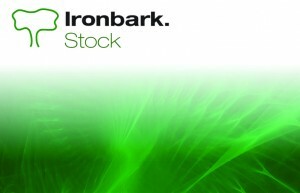 Manage and track your stock with Ironbark Stock management software. For further information call Ironbark now on 1800 649 524, or download the Stock Management software overview.